At long last, this LP is here, and it promises to be one of the best releases this year. Ensorcelor broke in last year with the EP Urarctica Begins, and fans of that recording have been waiting for this one ever since. Sludgy, creeping doom that never lets you get comfortable, changing tempos and sounds several times during a song. 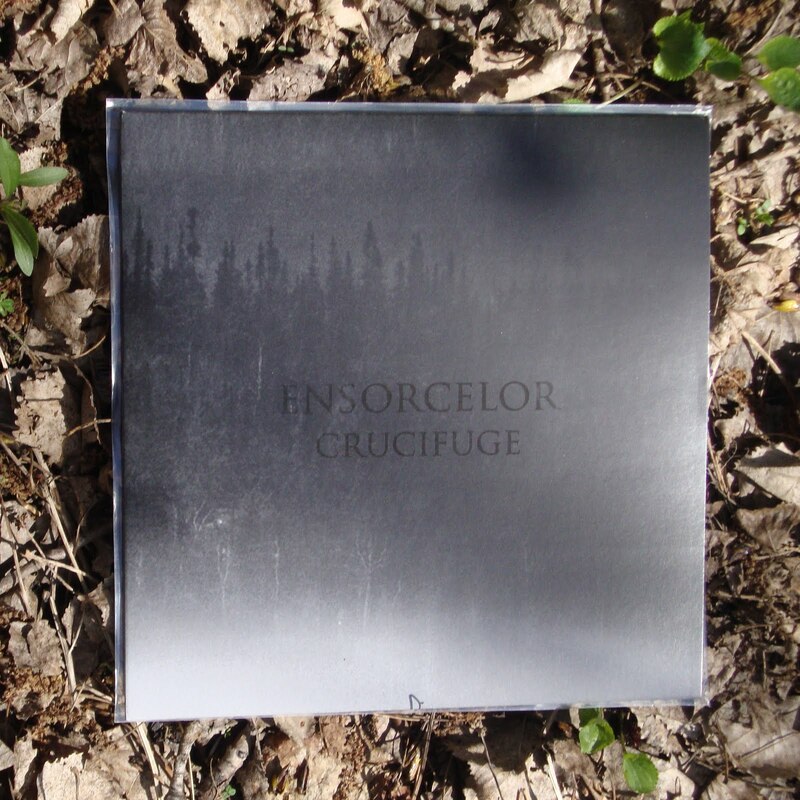 Inflections of black metal and crust also flavor Ensorcelor's bleak repertoire. Two songs - "By Mycomancy Insumed" (14:28) on the A-side, and "Crucifuge" (20:45) on the B-side. Printed on 180 gram vinyl, with spot gloss UV ink on 16pt stock jackets with full color printed sleeve, and both sides have center-etchings. Mastered by the always-busy James Plotkin, and the pressing was handled by Pirates Press, so you know this is quality. Media Tree Recordings is the label, and you can order this by email. They have copies of the Urarctica Begins cassette left as well, so if you haven't ordered that one already, do so now before it's too late. about time! Looking forward to finally hearing this! shipping prices from Canada are atrocious, but I ordered anyway. can't wait to hear it. I talked to the fellow that runs Media Tree the other day, and he said Gay Scientist are supposedly going to get some copies, but he said it may be a while since they are both touring with their band(s). He said some distros will more than likely have some copies in the future, but he didn't know who or when. So, either wait and take the chance of missing out, or spend a buck (or 30) and call it a day. Grimlin's got the right idea... buy now or cry later.